Detroit Files For Bankruptcy : The Two-Way The city is seeking Chapter 9 protection against creditors and unions for an estimated $18.5 billion in debt and liabilities. 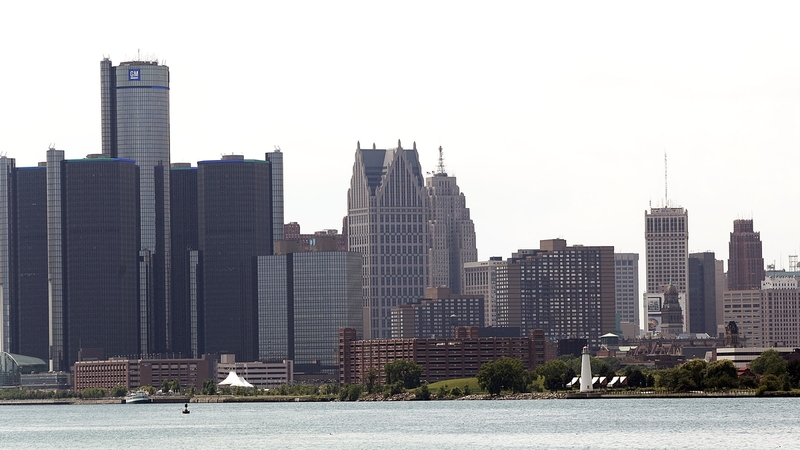 The city of Detroit has filed the largest municipal bankruptcy in U.S. history, seeking Chapter 9 protection from creditors and unions owed some $18.5 billion in debt and liabilities. In a news conference on Thursday, Detroit Mayor Dave Bing said he didn't want to go into bankruptcy, but the city will now "have to make the best of it." The 16-page petition was filed in U.S. Bankruptcy Court in Detroit Thursday afternoon, beginning a 30- to 90-day evaluation period to determine whether the city is eligible for Chapter 9. Kevyn Orr, Detroit's emergency manager, holds his first public meeting since being appointed by the governor on June 10. In a letter to Orr, Gov. Rick Snyder approved the move, saying: "Only one feasible path offers a way out." 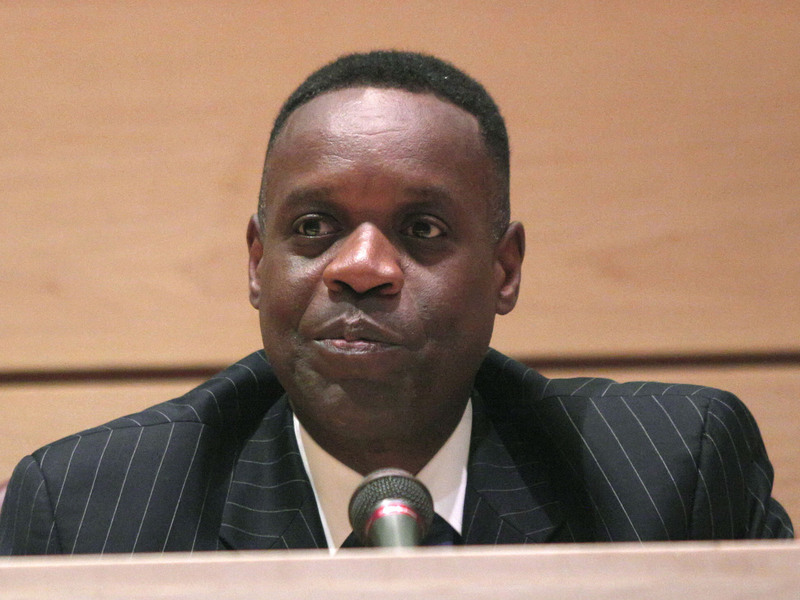 The Associated Press says that "if approved, the filing would allow Orr to liquidate city assets to satisfy a host of creditors and city pensioners lined up to recoup losses from bad bond investments and unpaid contracts." The Wall Street Journal reports that the city's strategy, unveiled last month, is "to pay off the majority of what secured creditors such as certain bondholders are owed while offering pennies on the dollar to unsecured bondholders, unions and pension funds." Detroit lost some 250,000 in the decade from 2000 to 2010, with much of the middle class and many businesses fleeing to the suburbs, destroying the city's once large tax base. Quinn Klinefelter of member station WDET in Detroit, says the move is "not a surprisingly development, but [it] ... makes some people in the city catch their breath." Hardest hit, he says, will be anyone who was expecting a pension from the city — police, firefighters, city workers, "people who have their future staked on the fact that they did their 20 or 30 years and were going to get x amount in benefits when they got out. .... That is just not going to be there. The city can't afford it." "A judge in Ingham County, where the state capital Lansing is located, has scheduled a hearing Monday on a proposed injunction that would prevent Orr from a bankruptcy filing. "City retirees and workers made arguments in the two lawsuits that Orr's plan to slash vested pensions for city retirees would violate strong protections in the Michigan constitution for retirement benefits of public-sector workers. "The pension funds' lawsuit makes similar claims. It also was filed in Ingham County Circuit Court, by the city's two funds — the General Retirement System and the Police and Fire Retirement System." Mike Lafaive of the Mackinac Center for Public Policy in Midland, Mich., tells NPR that the city had no other choice. "They are facing a financial situation that has been brewing for decades," he says. "It's municipal bankruptcy territory that is largely uncharted," he says. "We haven't seen the type of numbers we're looking at in Detroit or anywhere else."